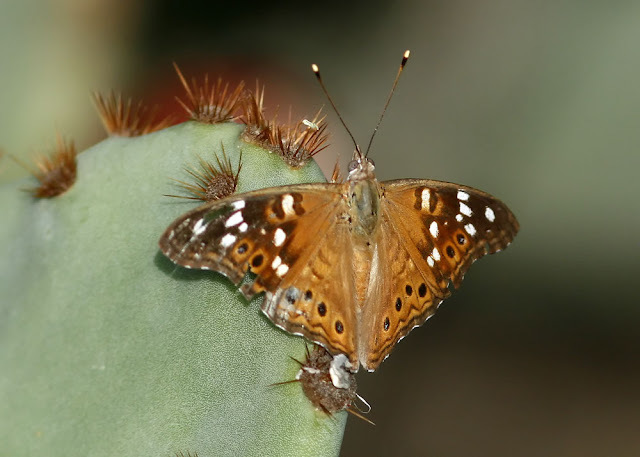 No sooner than I comment that I've never seen an Empress Leilia (Asterocampa leilia) on my Desert Hackberry (Celtis pallida) yet this year than one shows up, and soon joined by a second. These should be quite common on the Desert Hackberry, which is the butterfly's larval food. 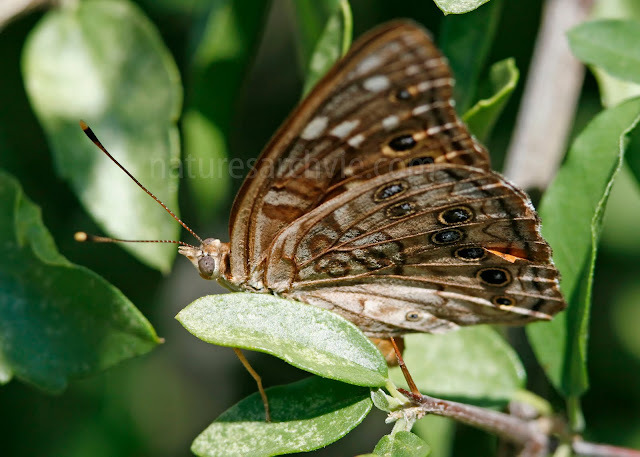 The male Empress Leilia often wit on or near the Hackberry in wait for a female to come by to deposit eggs . Like many butterflies, the Empress Leilia is much more colorful with its wings expanded. The above photo was taken the previous day at Boyce Thompson Arboretum near Superior, AZ. It is clear that this is a much more colorful butterfly than the top photo would initially indicate - even though this butterfly is clearly quite worn. Its left wing has several chunks missing, which is typical of a butterfly of a week or two weeks age. It's a tough life!